Welcome to the Carolinas' most complete golf information website! Our featured destinations include Myrtle Beach, Pinehurst, Hilton Head, Charleston and the NC Mountains. Complete the brief form below, then click the "Submit" button. You will receive a free quote via email from the top local packagers from the destination area you select. After submitting your Free Carolinas Golf "Quick Quote", we invite you to browse through our website and the hundreds of reviews on the Golf Courses, Accommodations, and Restaurants in "The Carolinas". Yes! Send me a FREE Package Quote! 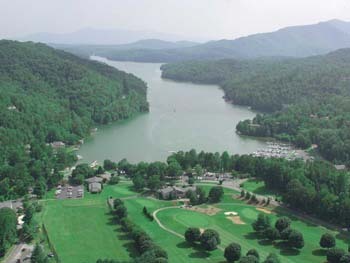 2 Rounds of Golf - Reems Creek and High Vista Country Club, 2 Nights lodging at Holiday Inn Biltmore West and 2 Biltmore Estate tickets.